Since investing in a snazzy little cooking thermometer and being smack bang in the middle of summer I’ve been busy playing with lot of jam and preserve recipes which I never had the confidence to make before. I’m just itching to start making sweets now, maybe some caramels or fudge and I’m going to have a go at making Italian meringue method macarons too. If any of these endeavours come out well you might be hearing about them in the coming months but for now I’m busy jamming. Well, if you belive the shops, adverts and media Christmas is upon us (it’s not even December!) and, as much as I dislike being harried into preparing early, some things do require a little forethought. 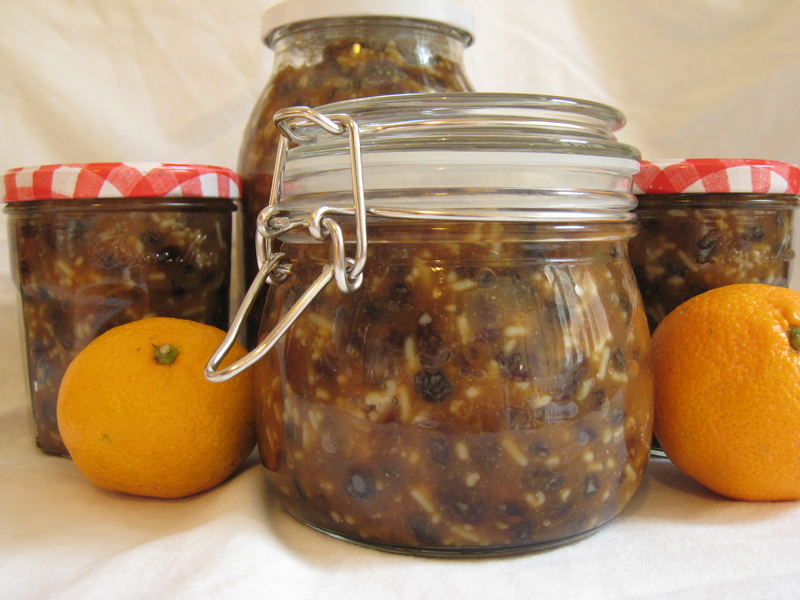 This recipe for mincemeat needs two weeks to mature and let the fruit soak up all the brandy. If you make it now it will be perfect by Christmas. As far as I can remember my mum has always made her own mincemeat from the same recipe. I’ve grown up with the recipe and, to me, it is the quintessential taste of Christmas; no shop-bought brand can match its flavour and richness. The recipe in question is from Mrs Beeton’s Book of Household Management, a stalwart of British cooking that has been in kitchens since 1861. The secret lies in using the whole lemon – once zested and juiced the leftover rinds are boiled until tender, minced and added to the mix resulting in a delicious zesty tang. 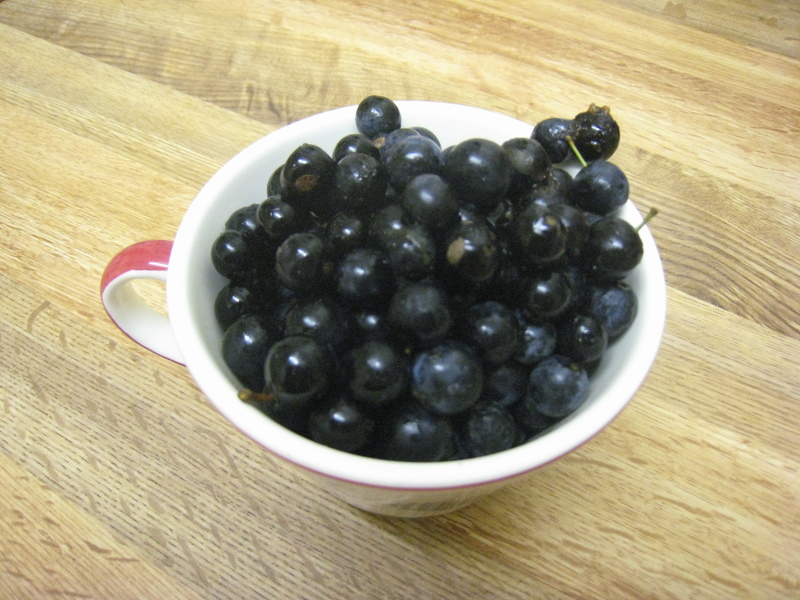 The only small adaptation mum makes is to reduce the sugar which allows the flavour of the fruit to shine. The full recipe filled 3 Bonne Maman jars, a 500ml kilner jar and a 1 litre jam jar – far more than I need even with making mince pies for work/friends/family. 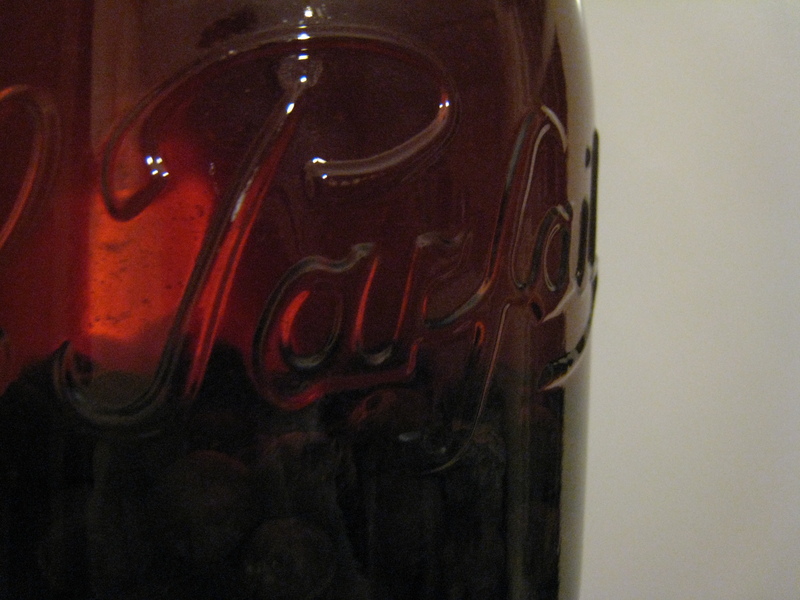 Fortunately, in an attractive jar, it makes a nice gift! Zest the lemons, squeeze out the juice and set aside for later. Boil the lemon rinds until soft, about 1 hour. Meanwhile, peel, core and slice the apples and cook with a little water until soft and pulpy. Bramley apples work well here as they break down easily when cooked. In a large bowl mix the lemon juice, zest and apple. Chop the boiled rind finely and stir in. Add the remaining ingredients one by one, stirring after each addition. 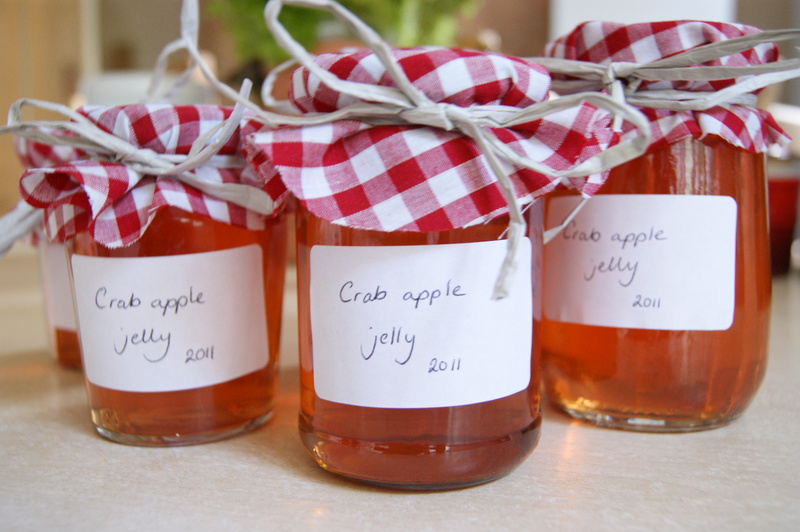 Spoon into sterilised jars and leave to mature for at least 2 weeks. There are so many things you can do with mincemeat besides the obvious pie, try as a filling for baked apples, baked in the middle of almond muffins or in one of my favourite recipes Barney Desmazery’s roly-poly pies. 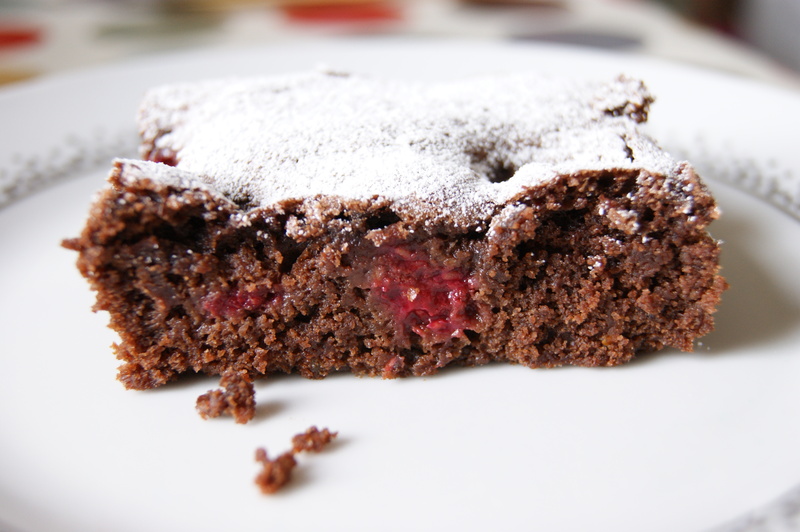 The first blog I ever read on a regular basis was Chocolate and Zucchini. Now I read quite a few more but it was Clotilde who introduced me to the daunting but exciting world of food blogging. When her first book was published I has a weekend job as a bookseller and, rather cheekily, ordered in a large pile for the window display. 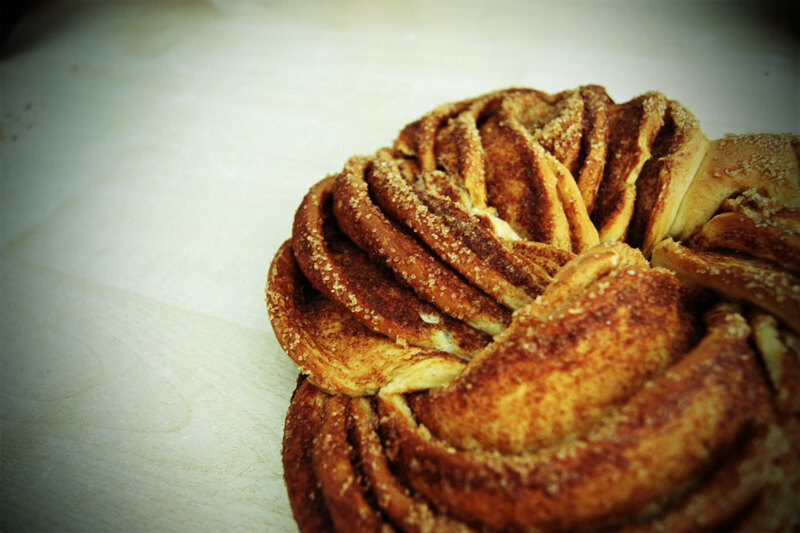 In a recent post she wrote about bread being an ideal gift when you go to someone’s house for a meal. I fully agree with this and decided to channel my inner Clotilde by baking a loaf to take with me when I visited a friend last week. Since February I’ve been experimenting with sourdough bread and keep a starter in the fridge. It’s been a very interesting and rewarding project and I found a new confidence in bread making. Unfortunately, wanting to have this ready early on Saturday morning, I didn’t have enough time to dedicate to a sourdough loaf and ended up turning to the little box of dried active yeast sitting on my kitchen shelf. Fantastically useful when you want bread “pronto”. I started the dough off when I got home from work and had a lovely loaf by bedtime. 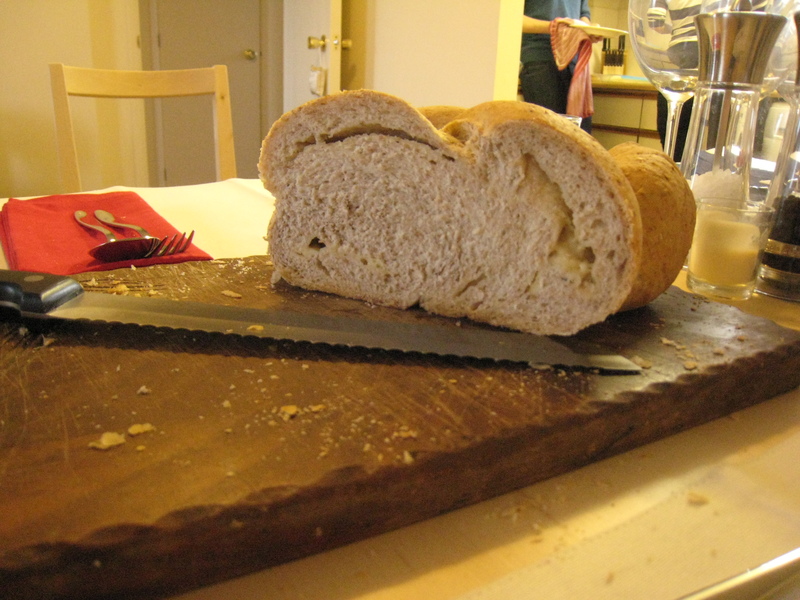 The bread made a nice gift which we had for lunch with cheeses, chutney and a tomato salad, yum! Recipe inspired by an Allinson flour packet, My Little Expat Kitchen and the contents of my fridge. 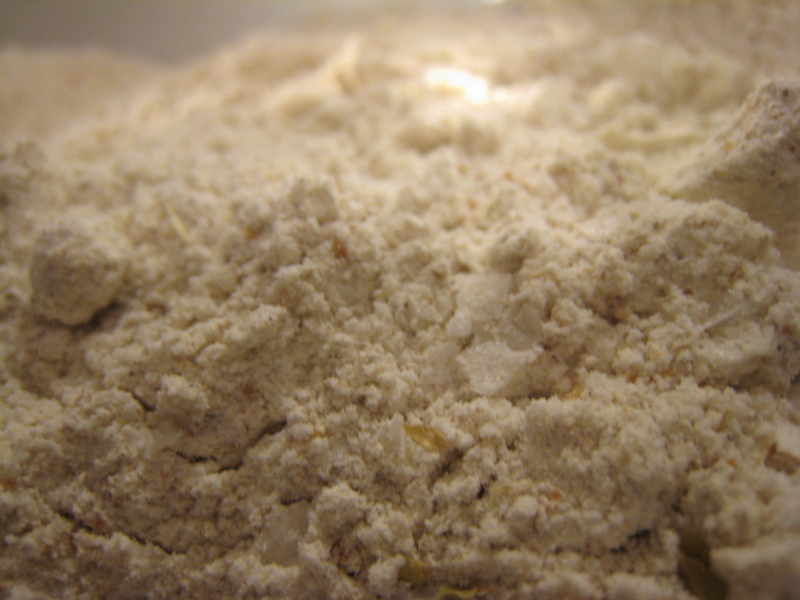 Begin by mixing the flours, salt, herbs and yeast. Gradually stir in the water until you have a soft, workable dough. Knead the dough for 10 mins, cover with a damp tea towel and leave to rise in a warm place for 1-2 hours until doubled in size. Punch down the dough and divide into three equal pieces (I find weighing them is a quick way to do this accurately). Take one piece and shape into a log. Roll out into a rectangle where the dough is about 5mm thick. Scatter one third of the grated cheese down the middle of the dough leaving a gap around the edges. Brush a little milk around the edges and pinch them together to form a roll. 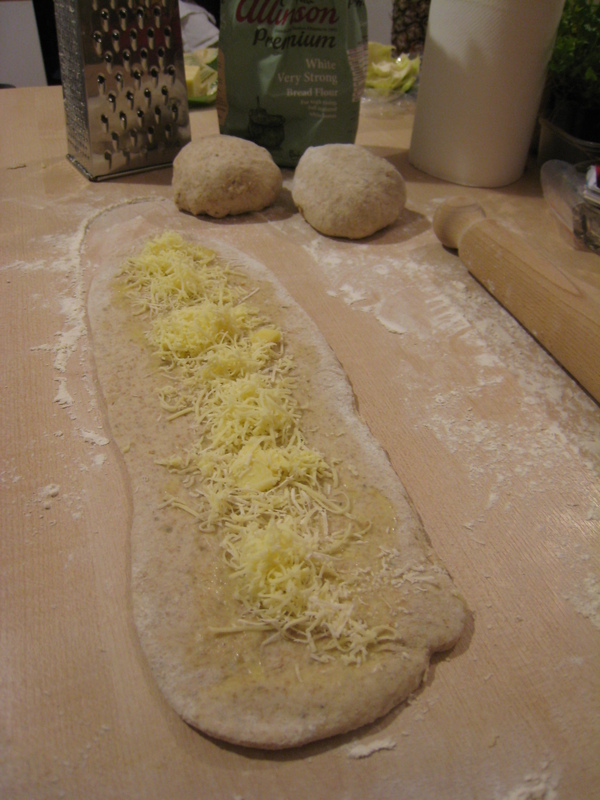 Place seam-side down and repeat with the remaining dough so you have 3 cheese-stuffed rolls. 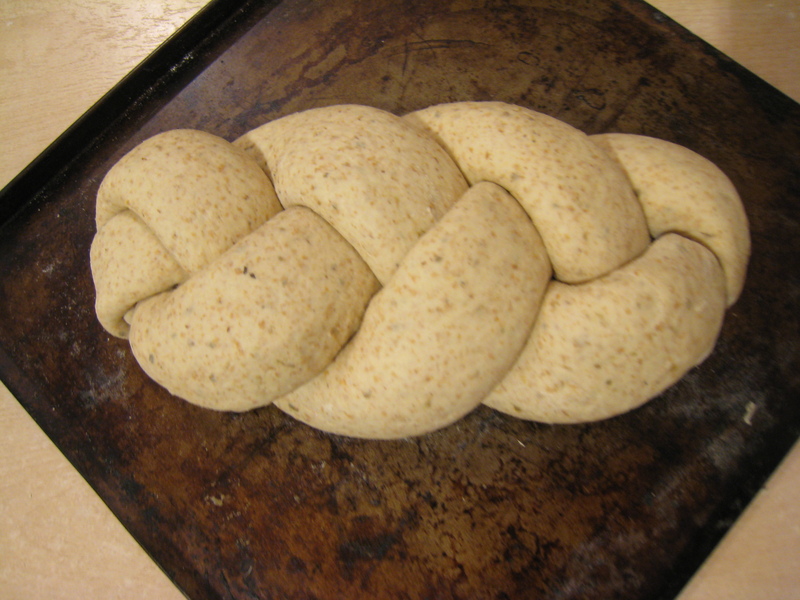 Place the 3 rolls on a baking sheet Bring the rolls together at one end and form a plait. Tuck the ends under so the plait doesn’t come undone. Heat the oven to 220°C. Place the baking sheet on top of the oven while it preheats for its second rise. Brush the loaf with a little milk than bake in the middle of the oven for 10 mins and then lower the heat to 190°C to continue cooking for another 30 mins.